Adoption, thousands of trees and a war hero — Portraits, Corporate Storytelling, and Reportage Photography based in Washington, D.C.
Saturday was a busy day. Check it out! C. B. Black, 66, a former letter carrier and U. S. Army Sergeant received a purple heart and bronze star Nov. 21, 2009 in Houston at the central branch of the Houston Public Library. Black had lost the medals nearly 40 years ago in a fire at his father's house where his medals were stored. Rony Kraft hauls away two sweet gum trees as the Trees for Galveston Project gave away 2,000 trees Nov. 21, 2009 in Galveston, TX. The project is helping to replace the 30,000 tree lost from Hurricane Ike. Each resident received two trees per a person. About 500 trees were given away in the first hour. 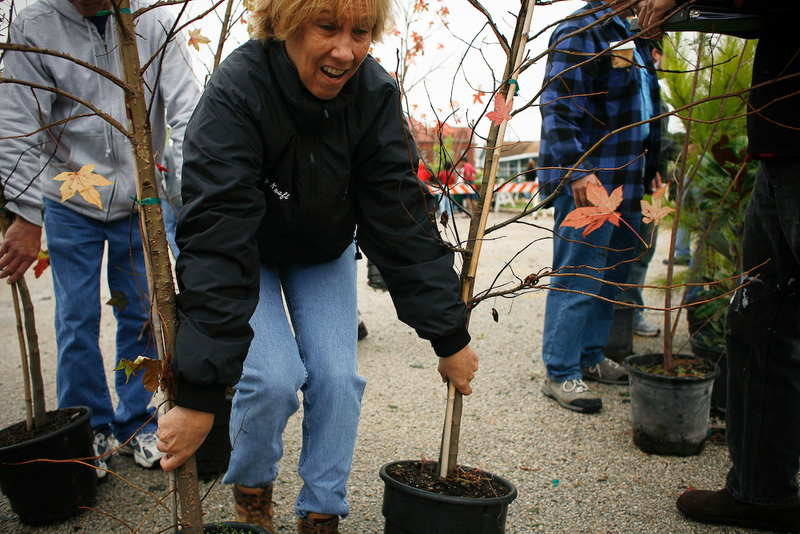 Volunteer Pat Chianetta, center, holds a sapling as the Trees for Galveston Project gave away 2,000 trees Nov. 21, 2009 in Galveston, TX. The project is helping to replace the 30,000 tree lost from Hurricane Ike. Each resident received two trees per a person. About 500 trees were given away in the first hour. From left, Shannon Vincent holds Spencer, 1, who he and his wife Heather, holding Sarah, 2, are about to adopt as Galveston county Child Protective Services holds a mass adoption day Nov. 21, 2009 at Moody Gardens in Galveston, TX. The Vincent's are swearing in before the short five-minute process takes place. CPS is celebrating National Adoption Month and bringing awareness to the many children in the child welfare system who need and deserve permanent, loving homes. In the greater Houston area, including Galveston County there are more than 1,700 CPS children waiting for an adoptive home. Most of these children are older, part of a sibling group or have special needs. They are in CPS custody due to abuse, neglect, or abandonment by their own biological families. Shannon Vincent holds Spencer, 1, who he and his wife Heather, are about to adopt. Donna Venti holds Ruthie Venti, 1, moments after she was adopted by Donna and her husband Stephen.